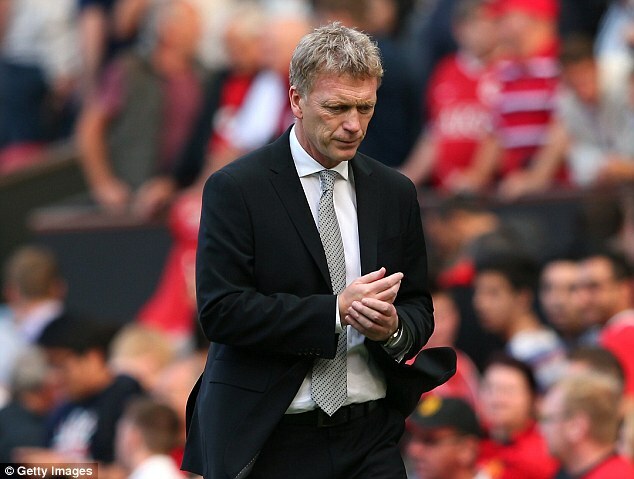 As United slump to 12th in the Premier League after shocking West Brom defeat, where has it all gone wrong for Moyes? 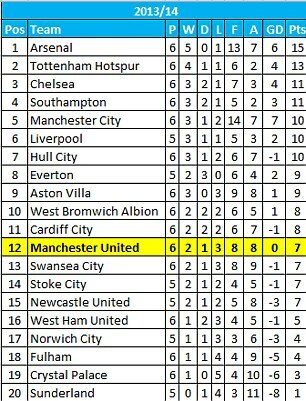 Manchester United are twelfth in the Premier League. They have lost three of their opening six games and have not scored a goal from open play since the opening day victory over Swansea – over six weeks ago. It is the club’s worst start to a league season for a remarkable twenty-four years, since Sir Alex Ferguson’s Manchester United began the 1989/1990 season with the same tally of seven points from six games. Such statistics should be unpalatable. Manager David Moyes admits he is ‘concerned’. So too are the fans, if the mild smattering of the boos that greeted the final whistle are anything to go by. 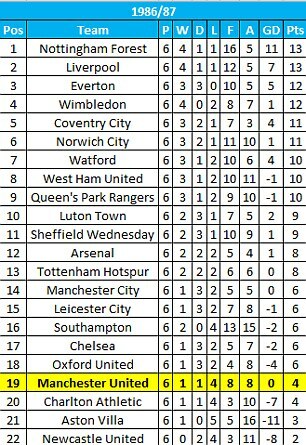 The last time United found themselves in 12th position or lower after six games was the autumn of 1986. Ron Atkinson was the manager and United were languishing in nineteenth place. The club called for man named Alex. The rest is history, though as some fans sang for Sir Alex Ferguson’s Red and White Army at Old Trafford on Saturday, one couldn’t help but feel a twinge of pining for that man named Alex once again. So what is it exactly that is faltering upon the new dawn under David Moyes at Old Trafford?Sportsmail dissects the anatomy of United’s ailing campaign…. The narrative of the summer transfer window told the story of United’s repeated failure to reinforce their midfield with energy, invention and creativity. The absence of a Paul Scholes figure is being painfully felt, with United unable to exert any semblance of control over games. Following the defeat to West Brom, David Moyes lamented the absence of a ‘real spark and something to make things happen’ – what United would do for a Cesc Fabregas, Luka Modric or Mesut Ozil. Moyes’ midfield was exposed once again against West Brom on Saturday, neither purposefully dictating the tempo of the game nor preventing West Brom’s relentless counter-attacking raids. As Stephane Sessegnon repeatedly rolled Michael Carrick and sauntered past Anderson, it was as though United were playing the polo formation – with nothing in the middle. Last weekend, Carrick and Marouane Fellaini were overpowered, outplayed and outclassed by the might and guile of Yaya Toure and Fernandinho in the derby day thumping at Manchester City while a partnership of Carrick and Tom Cleverley were hustled and harried out of the game in the defeat by Liverpool at Anfield. Carrick, United’s most consistent performer last season, has often made sluggish starts to campaigns and he has endured a troublesome time in the opening fixtures this time around. He has been stretched and left to man the central acres on a lone furrow. Now 32, it is proving increasingly difficult. Carrick has received three yellow cards in his opening six Premier League games. He has previously never been cautioned more than four times in a whole season. It speaks volumes for the extent to which he is being depended upon. Fellaini appeared from the bench against West Brom but was once again inattentive and guilty of allowing West Brom players to run off him and into goalscoring positions. Jonny Evans forcefully informed the Belgian of his negligence on more than one occasion. 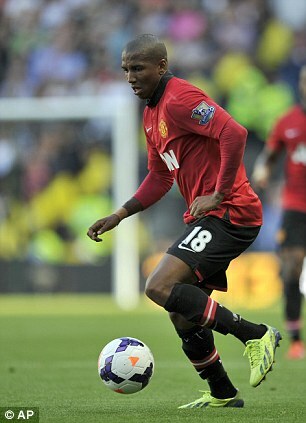 Anderson was substituted against West Brom and has completed just eighteen games since signing for United in 2007. 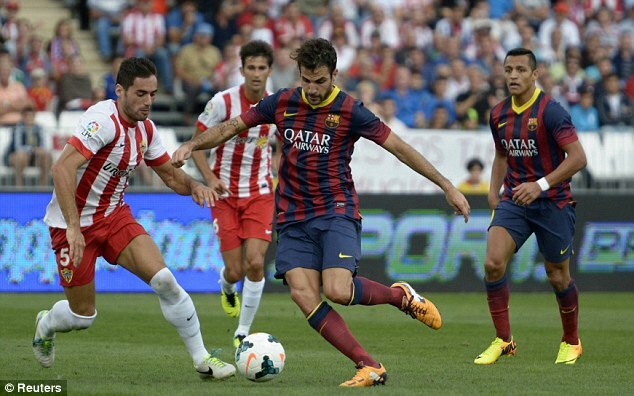 He looked out of shape in pre-season and he lasted less than seventy minutes once more. Tom Cleverley made a bright start to the campaign but question marks remain over his ability to perform consistently. With United’s midfield options appearing increasingly lightweight, there may be the temptation for Moyes to adopt a three-man midfield to attempt to quell the threat to his back-four – but then only one can play up front – Wayne Rooney or Robin van Persie? The glaring difference between last season and this season? The Manchester United manager. Sir Alex Ferguson is the most successful British manager of all time. His absence was always going to be felt and a transition could not possibly be seamless. United supporters serenaded the new boss with ‘David Moyes Red and White Army’ in the first-half against West Brom but those chants became increasingly sporadic in the second half. On the final whistle, there were some boos – such discontent has been rare at Old Trafford in recent times – only the 6-1 mauling at home to Manchester City elicited that kind of reaction from the terraces. Old Trafford felt confused and bruised in the closing moments against West Brom. United fans did not know whether to cheer or jeer. The players are due some criticism but the new manager, stepping into the shoes of Sir Alex Ferguson, deserves time and patience. Moyes made for a hasty exit on the final whistle abut it was heartwarming to see some United fans sat near the tunnel clapping off the new boss. The concern for United followers is understandable. United are not playing with the high tempo, pace, width and intensity that is expected of all United teams. They barely created a clear-cut chance of note in the game against West Brom – it has been a repeated theme in the Premier League so far. The troubles from open play should be a worry. It is not as though United are hitting goalkeeper, post and bar and being denied by bad luck. The opportunities are simply not being created. Very few of United’s senior players can emerge with credit from the recent games. Wayne Rooney’s renaissance in a United shirt has been remarkable and he was the only player to shine against Manchester City while it was his goal that drew United level against West Brom. 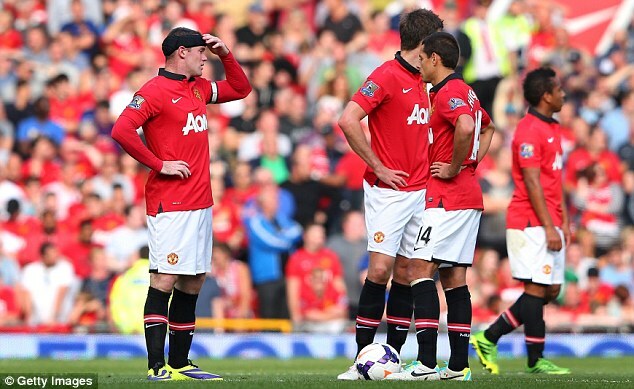 Yet even captain Rooney became infected by the United malaise in the second half against the Baggies. His first-touch became loose, the ball rolling under his foot on one occasion. There is no doubting that United have been affected by the absence of Robin van Persie in the past week but his impact was minimal in the draw against Chelsea while he became tetchy and frustrated by a lack of service in the 1-0 defeat at Anfield. 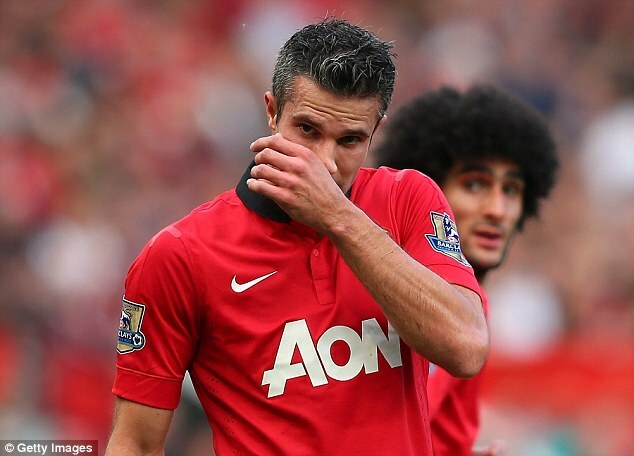 Experienced players like Rio Ferdinand, Nemanja Vidic and Michael Carrick have let United down. Ferdinand, now 35, has been a particular disappointment. He switched off for Daniel Sturridge’s goal at Anfield, while both he and Vidic were bullied and run ragged by City’s striking pair of Sergio Aguero and Alvaro Negredo at the Etihad Stadium. Vidic was allowed a day off against West Brom, but Ferdinand returned and failed to impose himself against the muscular Victor Anichebe. Ferdinand, usually so wise in his positioning, sold himself and was nutmegged by Morgan Amalfitano for the Frenchman’s sublime, individual solo goal. Carrick has occasionally been accused of being impotent in a crisis and his lack of authority has been noticeable. On the wings, Antonio Valencia, Ashley Young and Shinji Kagawa have been ponderous, ineffective and frustrating when granted opportunities. Ashley Young’s performance was abominable against Manchester City last weekend while Kagawa was hooked at half-time against West Brom. That Ryan Giggs remains United’s most dependable winger should be of major concern. The influence of Giggs was marked in the Capital One Cup against Liverpool in driving United forward and geeing up the supporters – but David Moyes cannot rely on a man who turns forty in November forever. It was always going to be a steep learning curve as the new manager adapts from having a first-team pool of around sixteen players at Everton to boasting a squad in excess of twenty-five international stars at Manchester United. David Moyes has made mistakes early on. The decision to play both Rio Ferdinand and Nemanja Vidic three times in a week – against Crystal Palace, Bayer Leverkusen and Manchester City – was a major misjudgement. The pair had not partnered one another three times in eight days since early 2010. After the derby drubbing, it may never happen again. Sir Alex Ferguson was the master of planning ahead. He would regularly speak of how he knew his teamsheet for a game two weeks in advance. He ensured that players were motivated and ready to shine for a game that he had identified particularly for a certain individual. Moyes has perhaps been guilty of some short-termism as he tackled a challenging set of opening fixtures but United fans will hope that he has learned from this chilling start. On reflection, the team selections against Manchester City and West Brom were misguided. United required an extra man in the middle at the Etihad and only settled following the addition of Tom Cleverley alongside Carrick and Fellaini. Many also felt that with United 2-0 down and thoroughly outplayed in the first-half, Moyes should have responded sooner and introduced Cleverley and the pace of Javier Hernandez at the break. Against West Brom, Alex Buttner and Anderson were selected but neither were equipped to confront the opponents they were facing. Buttner was torn apart by a rampant Amalfitano while Anderson did not possess the fitness to compete against the robust Yacob and Mulumbu. The decision to substitute Shinji Kagawa at half-time smacked of a manager too eager to force things. United were sluggish in the first-half but they were level and most present might still have expected Moyes’ side to go on to win. Rather than trusting his players to see the job through, Moyes substituted Kagawa and introduced the 18-year-old Belgian Adnan Januzaj. 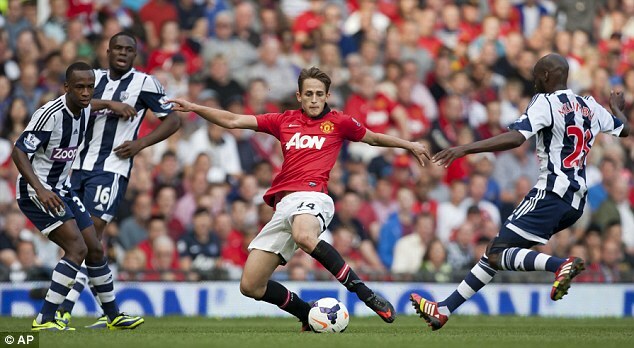 The youngster had some bright moments late on but it was his loose pass that led to West Brom’s opening goal. 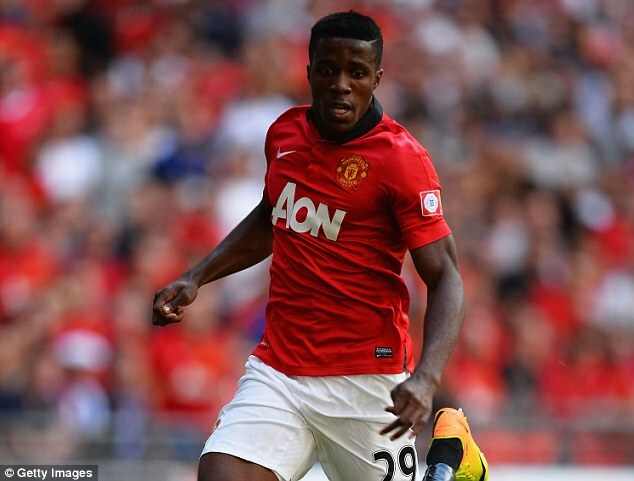 It is odd, too, with United’s widemen toiling, that Moyes has not seen fit to hand any first-team action to Wilfried Zaha. The former Crystal Palce winger was United’s sharpest performer during pre-season. He has a direct, uncomplicated approach that United appear to be craving from the wing. His youthful zest and exciting wing play would be appreciated by United supporters. United insist that they are taking him slowly as he adapts to life at Old Trafford, but his absence even from the bench remains a mystery. 5. Where has the never-say-die spirit gone? As United drew level against West Brom through Wayne Rooney and Robin van Persie emerged from the substitutes’ bench moments later, it appeared unthinkable that the Baggies would walk away with the three points. The Old Trafford crowd had finally been raised from their slumber and the momentum appeared to shift United’s way. That United failed to kick on and allowed the visitors to reassert their control was perplexing and most unlike the ruthless Manchester United that English football has become accustomed to. Equally surprising was the insipid manner in which United collapsed after half-time at Manchester City, while United teams of years gone by would have pressed home their superiority in the draw against Chelsea and may have rescued a draw at Anfield. 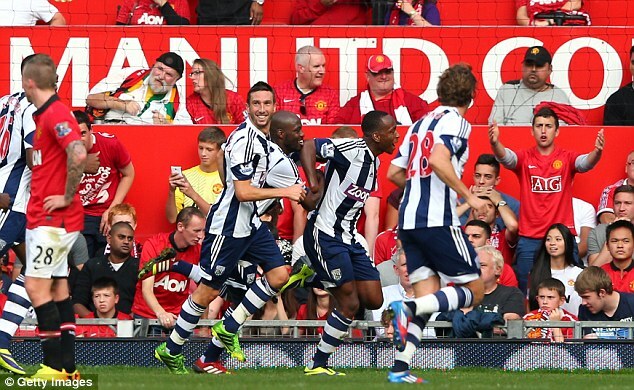 When United fell 2-1 behind against West Brom, Old Trafford was anticipating a bombardment that never materialised. 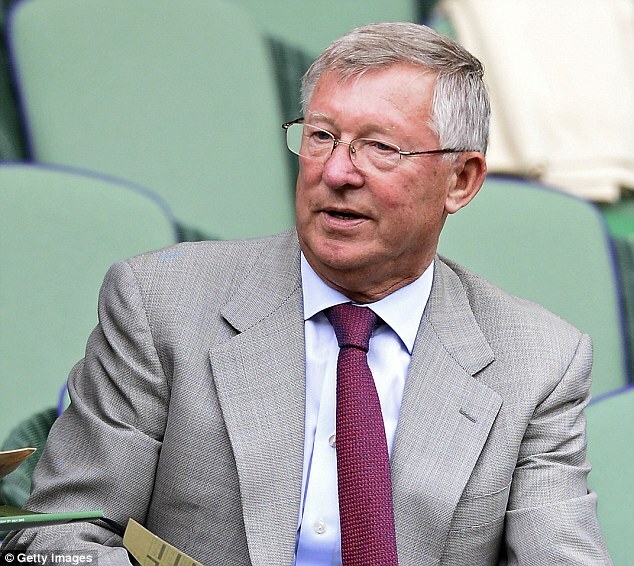 Sir Alex Ferguson used to train his players for the final fifteen minutes of football matches, ensuring they were ready to turn defeats into draws and one point into three points. 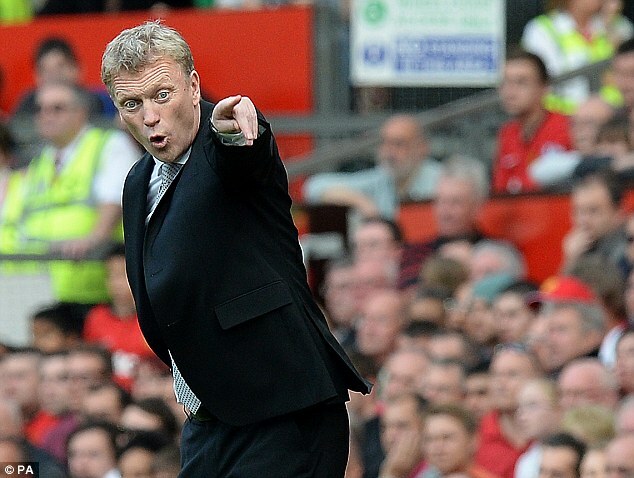 So far under David Moyes, United seem to lack the stomach to fight back. Rather than remaining composed, certain players hid, frightened to play the killer ball. 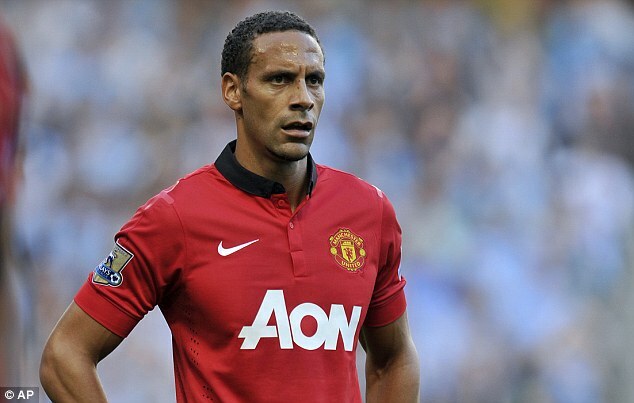 Rio Ferdinand misplaced five yard passes. Wayne Rooney miscontrolled and stumbled. Michael Carrick sprayed balls straight out of play. Robin van Persie barely had a kick. Players previously seemingly immune to pressure appeared overwhelmed in the closing stages. The only player to take initiative was Januzaj, who committed opponents and created United’s best chance, curling wide after sidestepping two Albion players. Perhaps that is the carefree innocence of youth. It is not for want of trying or a lack of effort on United’s part, while there is no suggestion that the players are anything but behind David Moyes. Nonetheless, for United to be eight points off the top after six games must be a worry and United need to discover some form. Some United fans sat in front of the press box admitted that they fear for United’s participation in the Champions League next season. That must surely be dismissed as a knee-jerk reaction. Failure to finish in the top four with a title-winning squad would be unimaginable. On the other hand, should Moyes go on to win the title from this position, it may be an achievement to equal any of Ferguson’s successes.